Its 3 days away! Small Business Saturday is a national initiative that declares a day to support local businesses around the country. 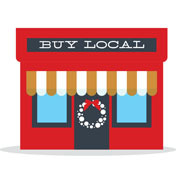 Shop locally for your holiday gifts and support your community! To view all the Hot Deals for Kingsport, please visit http://www.kingsportchamber.org/hotdeals.